Me at The Great Wall. About 4 million people visit the Great Wall of China each year. This breaks down to around 11,500 visitors a day (taking into consideration days closed for holidays). Naturally, I assumed that my first experience on the wall would feel a bit like the inside of a sardine can. It could not have been more different. 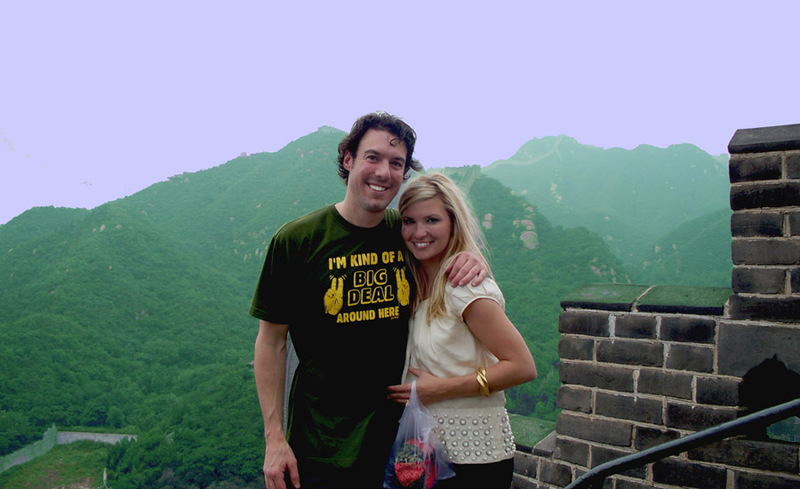 During one of my first visits to China, Brett planned a weekend getaway for us at The Commune. This resort like community, a private collection of contemporary villas designed by 12 Asian architects, is located about an hour and a half outside of Beijing. 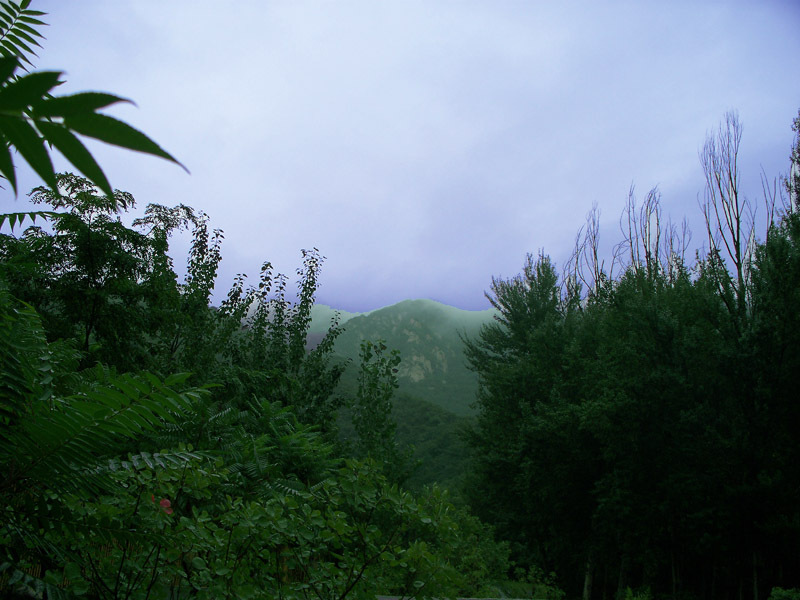 Situated on 8 square kilometers of private land in the Shuiguan Mountains, The Commune is built around an extremely remote portion of the man-made wonder that is The Great Wall. Its unique location allowed me the opportunity to share my first visit to the wall with only one other person…Brett. Albeit – a very sweaty Brett. You see…after hiking several very hilly miles to the private entrance of the wall, we realized that we had left both of our wallets in the room, and we had no way to pay the 10 RMB entry fee. (10 RMB is the equivalent of $1.47.) Before I could even argue with him, Brett kissed me goodbye and took off in a dead sprint back to our room to get some Chinese Yuan (also called RMB). He returned less than 30 minutes later, soaking wet, with the tickets in hand. Based on his speedy return, I knew that he had sprinted the entire way there and back just to be sure that I had plenty of time to explore the wall in the daylight. It was incredibly sweat…I mean sweet of him. Misspell intended. Me and My "Big Deal"
For guy friends of Brett’s reading this – try to control your gag reflex by taking a closer look at his Ron Burgundy inspired t-shirt. Clearly, the best choice for a once in a lifetime photo opportunity! Stunning. Beautiful. The landscape and the people! Haha – this is the best! Love the info, the great story and the hilarious pictures. Brett – you da man.